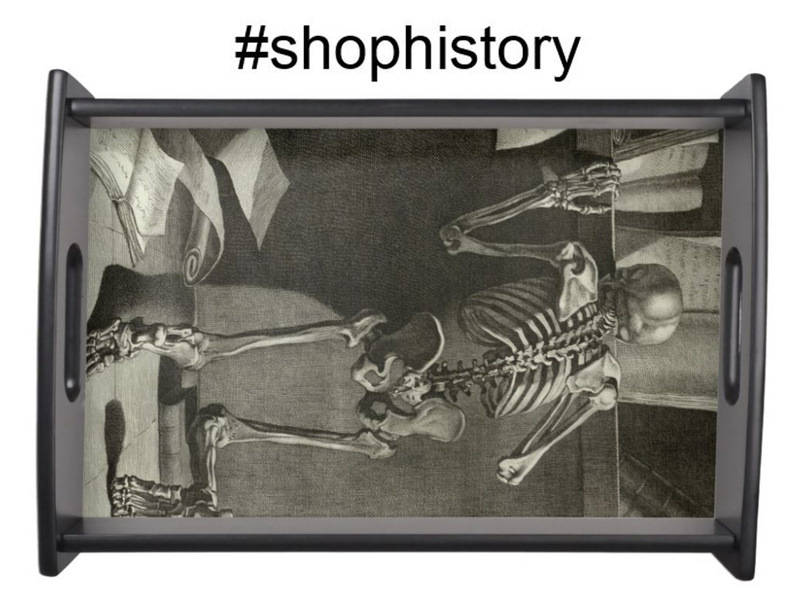 Today’s guest post is by Andrew Seaton, the 2018 Paul Klemperer Fellow in the History of Medicine. Andrew is a History PhD candidate at New York University. His dissertation explains the survival of the British National Health Service since 1948, and its significance at home and abroad. Andrew will be presenting his Fellowship research on Wednesday, April 18, at 4 p.m. in the Hartwell Room. Please email history@nyam.org if you would like to attend. Space is limited. Americans have often looked to other countries in their debates about extending health insurance. Health reformers in the Progressive Era held up Germany’s sickness insurance as a model to work toward, only to have this turned against them during the First World War. In the postwar period, the British National Health Service (NHS) became a focal point of discussion. President Truman’s attempts to include “national health insurance” within existing Social Security legislation coincided with the establishment of the NHS in 1948. 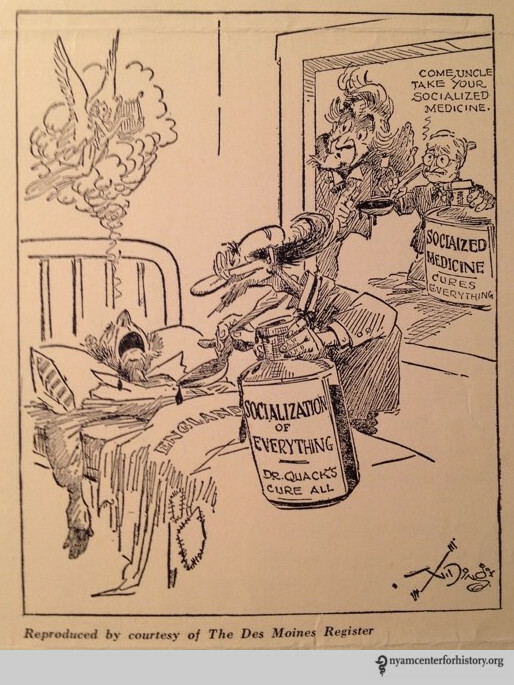 When Truman’s opponents – foremost among them the American Medical Association (AMA) – depicted the NHS as emblematic of the problems with “socialized medicine,” (see image below) progressives rushed to its defense. Typical representation of the British National Health Service by the American Medical Association. “The Rebellion of British Doctors,” Editor and Publisher, March 6 1948. The left-wing health economist, Michael M. Davis – whose papers are housed in the New York Academy of Medicine historical collections – stood as a central advocate for the British model. Davis was one of the most important American health campaigners of the mid-twentieth century. He founded organizations such as the Committee for the Nation’s Health (CNH) in 1946 to promote national health insurance, and worked closely with Truman to achieve legislative reform. Cognizant of attacks in the Progressive Era on the German model, the CNH realized that AMA “misinformation” about the British scheme would seriously harm their chances of securing their goal of comprehensive health coverage for all. Responding to this threat, the CNH rebutted AMA communications on the NHS in their own pamphlets (see image below), provided statistics and details about the British health service to newspaper editors, and reprinted favorable media coverage from the U.K.
Committee for the Nation’s Health, “The Truth About Britain’s Medical Program” (March, 1949). Trans-Atlantic trips undergirded American battles over the NHS. Dozens of opponents and supporters of extending health insurance in the U.S. undertook field studies in Britain to aid in the battle back home. Davis – by this point nearly eighty years old – undertook such a trip in 1959 with his wife, Alice. They not only met with their extensive contacts in the medical profession and British civil service, but also spoke to ordinary people in public parks across the country to find out how they felt about the NHS. The Britons that Michael and Alice Davis met – from hotel maids to university professors – were “practically unanimous” in saying they “wanted the Health Service,” pointing to the end of anxieties about doctors’ bills as the main cause of satisfaction. The following year, Davis presented these findings as a talk to various American community and labor organizations in an attempt to stimulate interest in national health insurance. Despite these efforts, Davis and other progressives lost their battle with the AMA. Congress struck down Truman-era health bills, the CNH ended its activities in 1956, and trade unions turned towards securing the best deals for their members through private health insurance rather than advancing a federal health program. The reputation of the NHS played an important part in these events; the AMA’s negative vision of the NHS triumphed over that presented by figures like Davis. This underlines the importance of transnational perspectives when thinking about the history of health care in America – and indeed in Britain – alongside the significance of convincing a wider public when attempting to enact structural change. If Davis’s dream of universal medical coverage in the U.S. is ever to be realized, it will rest in part on shaping popular opinion about America’s place in the wider world of health systems. Beatrix Hoffman, The Wages of Sickness: The Politics of Health Insurance in Progressive America (Chapel Hill: The University of North Carolina Press, 2001), 54-74. For a biography of Davis, see Alice Taylor Davis, Michael M. Davis: A Tribute (Chicago: Center for Health Administration Studies, 1972). New York Academy of Medicine, Library of Social and Economic Aspects of Medicine of Michael M. Davis, Box 64, CNH Releases on British N.H.S., “The Truth About Britain’s Medical Program” (March, 1949). 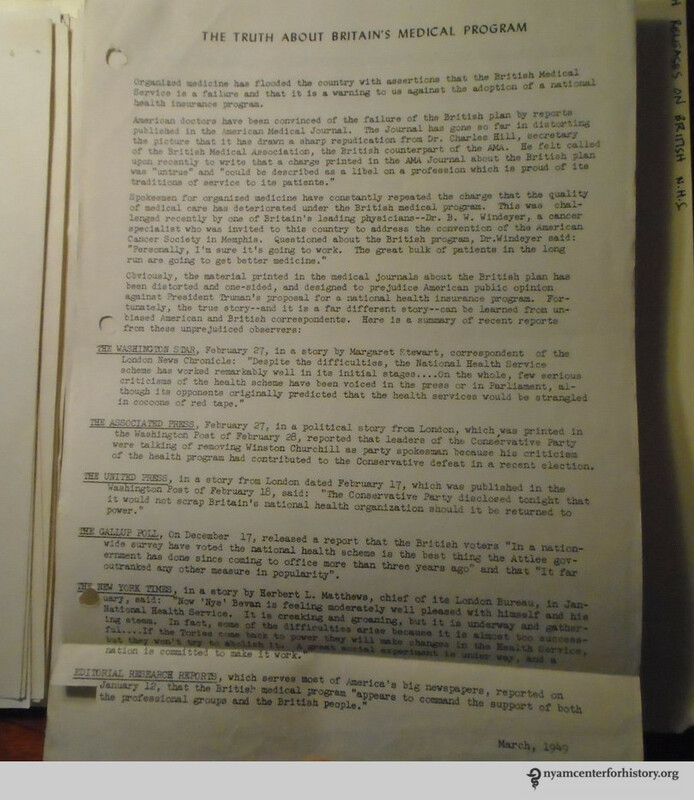 New York Academy of Medicine, Library of Social and Economic Aspects of Medicine of Michael M. Davis, Box 62, Bibliography: England: 2, Michael M. Davis, “My Observations Last Summer of the British National Health Service” (1960).